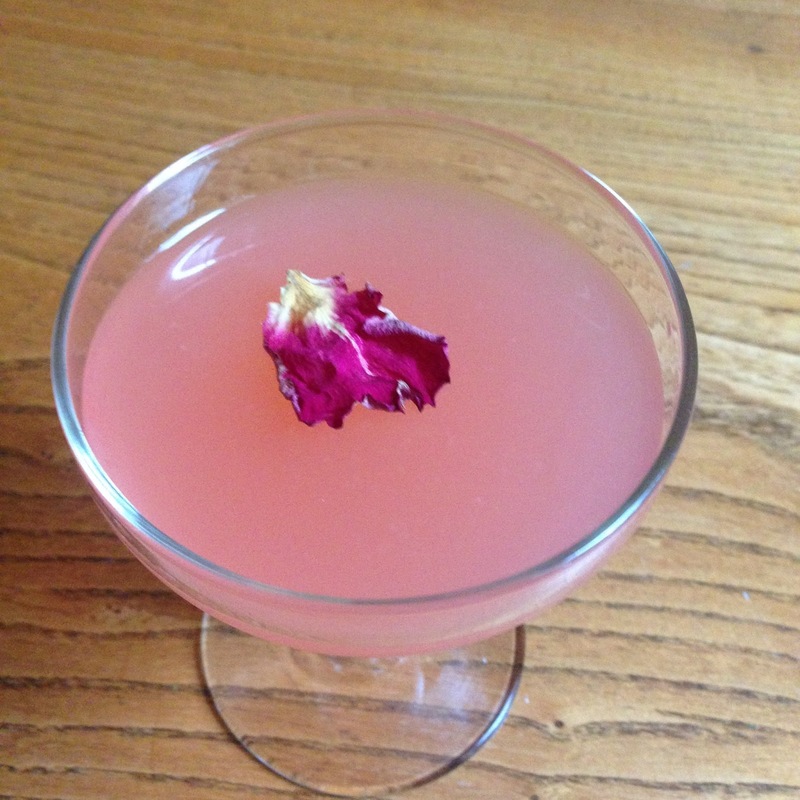 A pretty pink cocktail, just in time for Valentine's Day. Not that I believe in nonsense like pink drinks. Combine all ingredients in a cocktail shaker or a large glass. Add plenty of ice. Stir until chilled. Strain into a cocktail glass. Garnish with a dried rose petal. 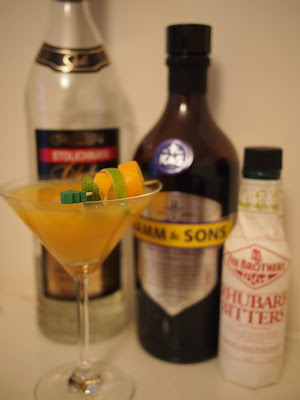 You can hear me talk about this cocktail on Cambridge 105's Flavour programme. Catch up here. I love Christmas. At all times of the year I am very set on what is right and what I definitely don't approve of (I'm looking at you Rod Stewart). Christmas is a time of tradition for everyone so my obsession with having everything just so doesn't seem quite so strange. However all my self-imposed festive rules and regulations became overwhelming recently. On the floor, surrounded by cards, wrapping paper and many, many lists I thought to myself "I need help". Then I realised I just needed a cocktail. 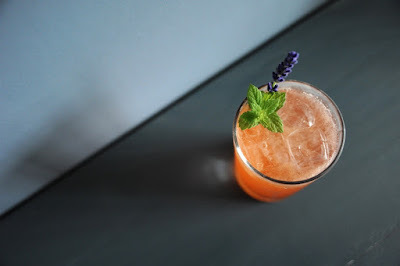 A rescue cocktail. There is likely to be many occasions over Christmas when just such a potion will be required. Between making sure we have the right sort of tree (real, particular type of needle) and the correct Christmas cards (has to be charity ones), making sure there is no chocolate in the advent calendar (the excitement of counting down to Christmas should be enough) and stressing about where I am going to get a supply of Irish crisps in England, it is an exhausting time. Cocktail! This is a selfish cocktail, for one or two people. Not for making in large amounts, not for parties. Just for me and you if you need it. 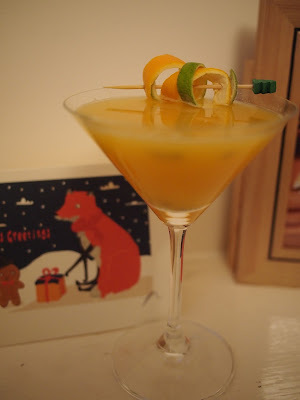 If you would like some Christmas party cocktail ideas I have plenty on this blog and my older blog. There is last year's pomegranate cocktail (3 variations on a theme),a Christmas pudding vodka cocktail, a Christmas apple punch and a spicy rosehip, rhubarb combination. But leave the party planning for the moment; put down your notebook and pen. 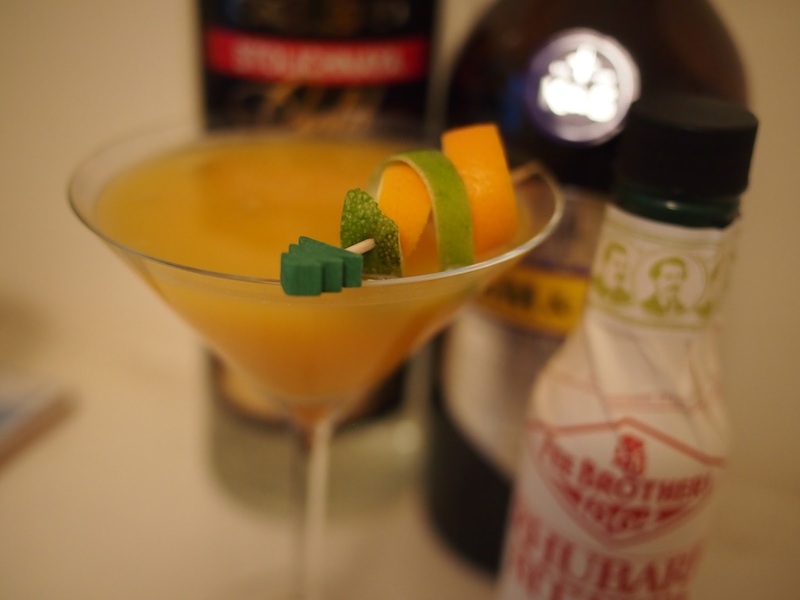 Let the Christmas clementine, the fresh lime and passion fruit, not to mention the alcohol, refresh and revitalise you. I've used Kamm & Sons here as it has lots of botanicals including ginseng roots, freshly peeled grapefruit and Manuka honey. Basically it's a health drink. You could just use gin which is also a health drink in my book. Combine all of the ingredients in a cocktail shaker. Add plenty of ice. Shake until thoroughly chilled. Strain into a prepared cocktail glass. Use a fine strainer if you don't want the passion fruit seeds but I quite like them in there. Garnish with lime and clementine zest. You can hear me talking about this Christmas cocktail on the Flavour programme (Cambridge 105) at 12 noon today (Saturday 12th December). Three years ago I ventured out to Midsummer Common to see the Cambridge fireworks display. I finally got the feeling back in my toes but I will never forget the cold, wet misery. All my own fault, I was shockingly under prepared in the wrong shoes and without cocktails. I really don't know what I was thinking. The fireworks and bonfire were very impressive and almost worth the pain but if I was to venture there again I would certainly bring a flask of this warming cocktail. 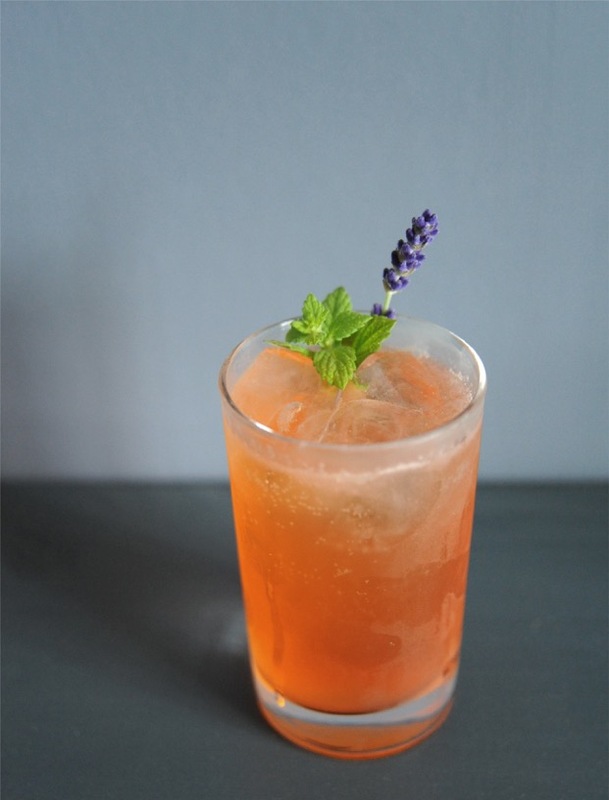 The cocktail I recommend for such an occasion is very simple and combines apple juice and rose hip syrup together with a spirit such as whiskey or rum. I heat all of the ingredients apart from the alcohol together and then add alcohol to the glasses of those who want it. Without the alcohol, it's perfect for warming up cold, miserable children or anyone else who is not so keen on spirits. Rose hips are rich in vitamin A and C so if we forget about all the sugar for a moment it's almost a health drink. If you are out trick or treating for Halloween tonight it may be just the thing to revive you on your return. Combine the apple juice, rose hip syrup and lemon juice in a saucepan and heat gently until warm. Serve immediately in heat proof glasses or cups or you could store in a thermos for use later (on the freezing Common!). Add the alcohol directly to the cups of those who need it. 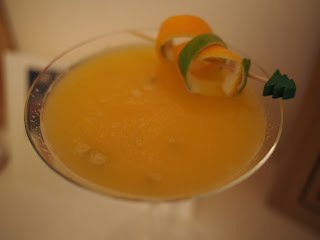 You can hear me talking about this cocktail on Flavour on Cambridge 105 on Saturday 31st November at 12pm. Green, white and orange plus Irish whiskey. Definitely my most Irish photo to date. It's been a very successful year at the allotment. We are still enjoying the Autumn raspberries, squash and kale. 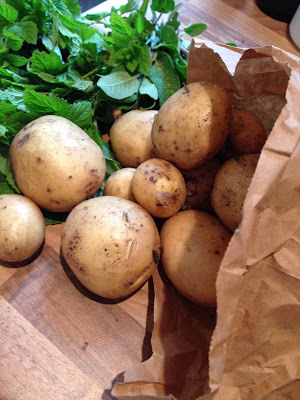 We have a second crop of potatoes as well as our very first cauliflowers coming through. 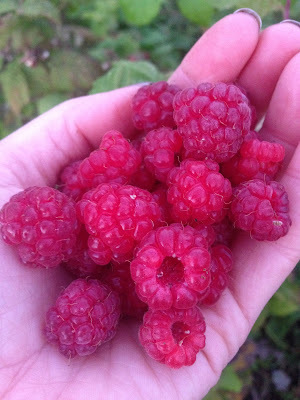 Our evening walks to visit our little kingdom and harvest handfuls of raspberries have got me thinking about our work down here over the last four years. Up to now I've spent a lot of time criticising our work and planning what to do better next time. I've wasted time worrying about when our allotment was going to turn into the perfect plot. I can see now that the perfect plot is already here, evolving with each season and year. 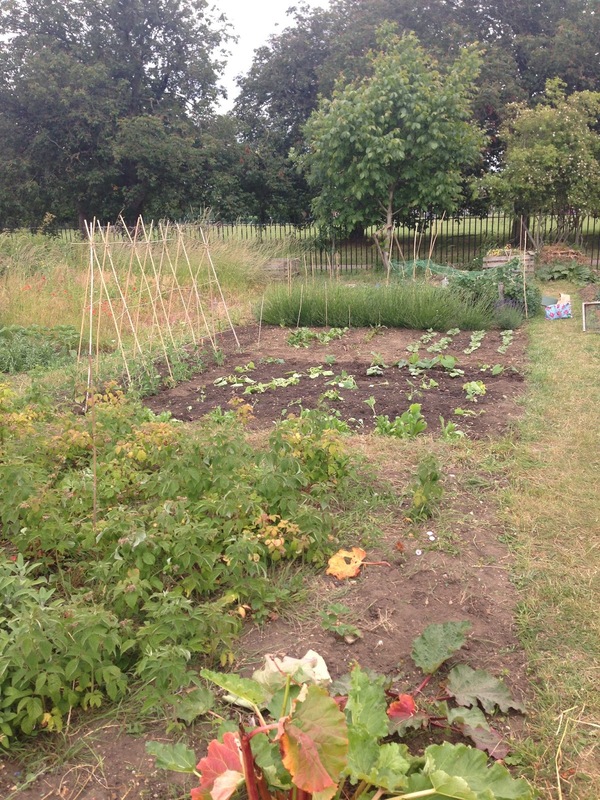 We are slowly learning about what works on our plot and adding new vegetables to our repertoire every year. 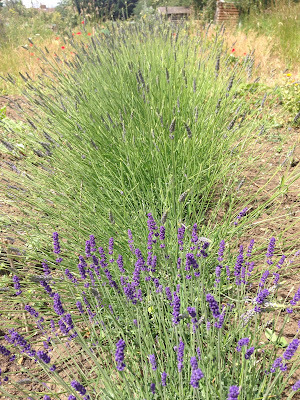 I'm ridiculously proud of my lavender hedge and some of my happiest hours are spent just pottering around the plot. I've learned to appreciate what we have and take advantage of the aspects of our situation that we claim no credit for. We recorded another bumper blackcurrant harvest from a bush we inherited and this week we collected rose hips from the rose that grows neglected on the boundary of our plot. 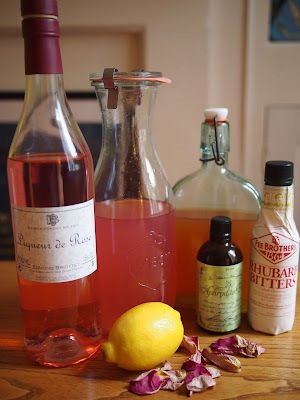 Rose hip syrup is a wonderful cocktail ingredient and I will use it to create a suitable concoction to toast our allotment achievements this year. 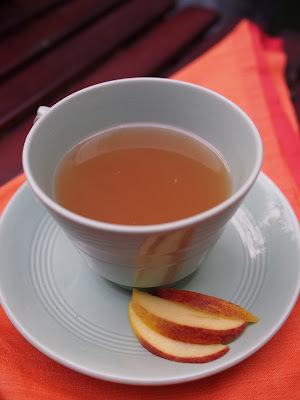 The recipe for rose hip syrup is here on my older blog. I'm pleased to report I now have a proper food processor which ensured the chopping of the hips was completed with no mechanical whining which was certainly a relief. You can hear me talking about rose hip syrup and a hot cocktail for Halloween or Bonfire night this coming Saturday on the Flavour programme on Cambridge 105. Get out this week and make some rose hip syrup so you are prepared and ready to go. My talented friend Karen asked me to be her sidekick at a photography picnic she organised recently for Cambridge bloggers. 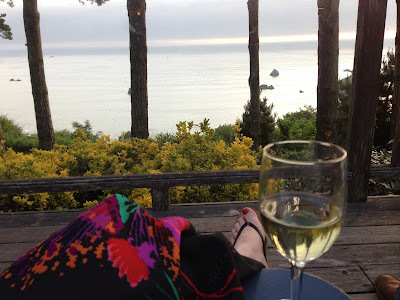 As all I had to bring was myself and some cocktail recipes, I leapt at the chance to be Cocktail Girl to her Photography Woman. Like the superhero she is, Karen had organised a large supply of delicious Williams gin from Chase Distillery in addition to fabulous mason jar tumblers from Aladdin - the perfect picnic drinking receptacles. There was one for everybody in the audience. I only managed to take a few photos. I was too busy making cocktails, chatting and generally having a lovely time. Sian and Alex from Bone White China brought many beautiful props and said very nice things about my cocktails so I enjoyed hanging out near them. Elisa from My Foodie Days made the most fantastic tart which was just as tasty as it was beautiful. I even remembered to take a photograph. I kept the cocktail recipes simple so they could be assembled without fuss outdoors. I just had to spend some time juicing lemons and limes and preparing the cucumber puree before the picnic. Cocktail Girl loves her prep work! 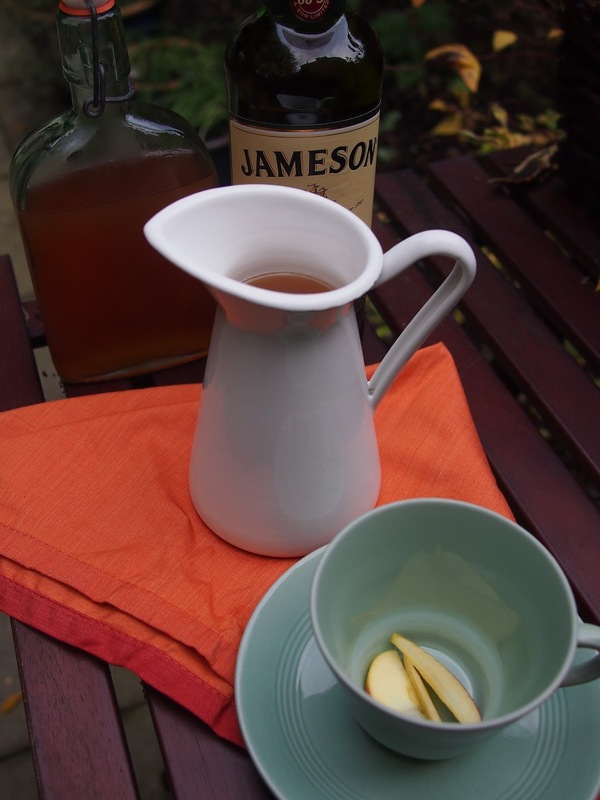 Combine the gin, simple syrup and lemon juice in your glass or travel cup and stir well. Add plenty of ice and top with sparkling water. Garnish with a slice of lemon and a lavender sprig. Leave out the gin for a very respectable non-alcoholic version. In a shaker, combine the gin, cucumber puree, basil leaves, simple syrup and lime juice. Add plenty of ice and shake hard for 30 seconds. Strain into your glass or travel cup. Add plenty of ice and top with a little sparkling water. Garnish with a slice of cucumber and some basil leaves. Again, you can leave out the gin for a tasty non-alcoholic version. If you are making this at home with more equipment, I would recommend muddling the cucumber directly (not making a puree. In a shaker, muddle a cup full of cucumber chunks, basil and sugar using a pestle or large spoon until the cucumber offers no more resistance. Add the lime juice, gin and plenty of ice. 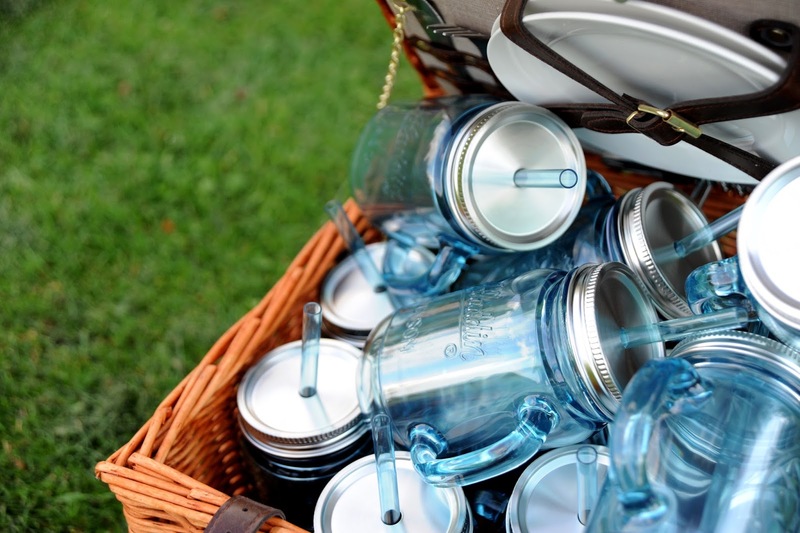 Put the lid on your shaker and shake until thoroughly chilled, about 30 seconds. Strain the mixture into a glass. Top with a touch of sparkling water (or champagne if you are feeling decadent). Garnish with cucumber and a basil leaf. I took this dress to a fabulous party last weekend, although I'm starting to think it took me. It only gets out of the wardrobe for the best invitations and I am a mere vehicle for its wonder. The last time we ventured out together was to the opening of a sculpture exhibition in the garden of a beautiful inn overlooking the Pacific Ocean. On that occasion the artist admired my dress and I planned to take one of the sculptures home before remembering the tyranny of the baggage allowance. At the party last weekend, which was in The Fens rather than California, the artist (the wonderful Karen) also admired my dress. Apparently, we (my dress and I) had nailed the "Margot from the The Good Life" look. Happily this was the exactly the look we were going for. I had promised to bring a cocktail. 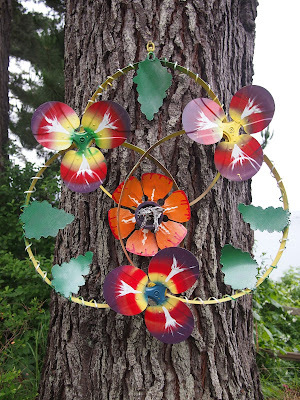 The party was to be a wondrous midsummer extravaganza focused on fire. I had to attempt a themed drink. Aperol seemed a suitable summery choice and the right colour for this fire festival. The addition of vodka (or gin) was essential to keep the booze hounds happy (a guest at this party invented The Sugar Wolf cocktail: I had some serious drinkers to impress). I added herbs and bitters to complete the potion and cast my spell. It is designed to be assembled in a jug in large quantities, then poured out into glasses as needed and topped with sparkling water. Combine all of the ingredients in a jug. Stir until combined. Add plenty of ice to a glass, fill 3/4 glass with cocktail mixture, top with soda water and garnish with fresh herbs. 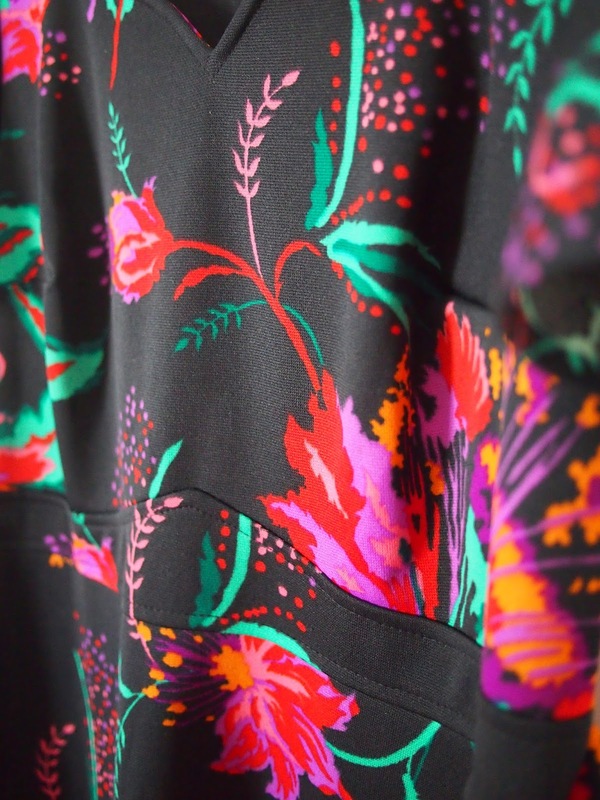 Prancing around in a flowery dress is optional. 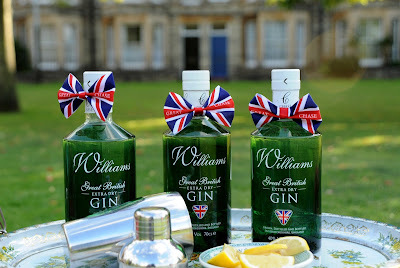 You can hear me talking about this cocktail on Flavour on Cambridge 105 on Saturday 27th June at 12pm. 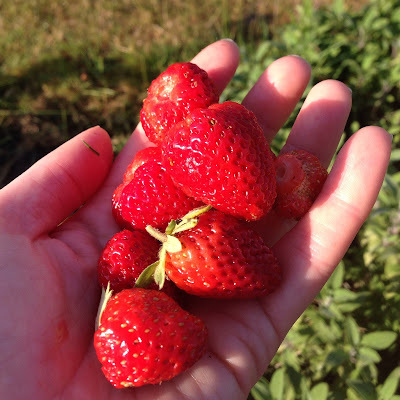 Growing things on an allotment feels very grown up. As I'm often surprised to find that I am actually an adult, I find myself playing down the grown-up aspect of it. 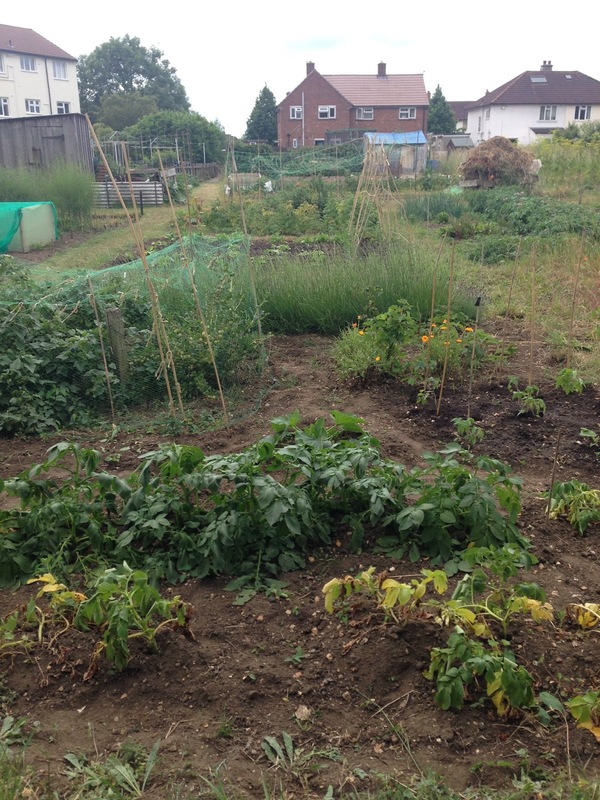 I say "yes I have an allotment but it's tiny" or "I do have an allotment but its mainly weeds". Both of things are true. But neither the size and straggly state of my allotment negate the joy and abundance it brings to my life. Today beneath a tangle of grass and dead leaves I unearthed a feast of sweet strawberries. Amongst the the ground elder and the bindweed Anthony dug out the first potatoes. Inside the world's worst fruit cage, the gooseberries are growing fat alongside the wild mint and the blackcurrant bush, heavy with ripening berries, is touching a ground concealed by speedwell. My proudest allotment accomplishments are a hedge of lavender and a row of marigolds. The allotment is no show garden but that's OK. In between the weeds, the ants and the stones there is happiness.